For users who have Apartment Life or FreeTime as well as Seasons, this bugfix restores proper operation to the "Books First for Learning: A Bookshelf of Education". Please install the contents of either SDpatchSims2_Rewards.zip or SDpatchNoUni_Rewards.zip as described under the Install Instructions tab. Those who already use my Rewards patch under Seasons without either FreeTime or Apartment Life do not need this upgrade. From now on, new users of my Rewards patch under Seasons without either FT or AL will need to install either SDpatchSeasons_Rewards.zip or SDpatchSeasonsNoUni_Rewards.zip as described under the Install Instructions tab. 1) If you have Apartment Life installed, this upgrade enables the Journalism and Tiki Rewards to be height adjustable using the square brackets, as if they were wall mounted objects. In combination with "boolProp snapObjectsToGrid false", this allows these decorative objects to be "placed" on surfaces that are already occupied, as shown above. The Sim animations associated with these objects will track their height adjusted position properly. 2) If you use one or more EPs but do not have University, please install the contents of SDpatchNoUni_Rewards.zip in your Bins folder as described under the "Install Instructions" tab. This will prevent the presence of invisible and unavailable University objects from showing up in the catalogue. If you had previously installed the standard patch files, please remove SDsims2_AspirationRewards.package and SDsims2_CareerRewards.package from the Bins folder. With the introduction of Bon Voyage, players were no longer able to use custom collections to access non-buyable objects for placement in community or unoccupied residential lots. 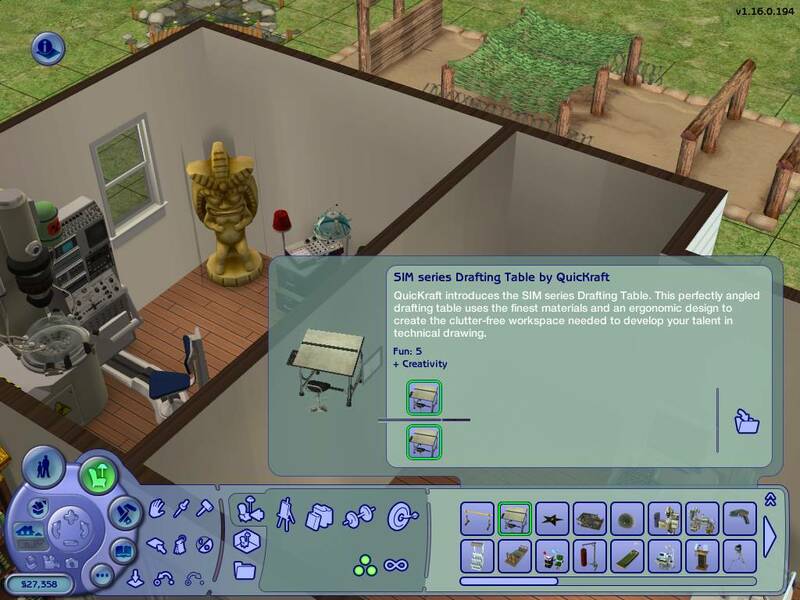 These files allow lot builders to once again include objects from the entire Sims 2 aspiration and career reward sets in their creations. 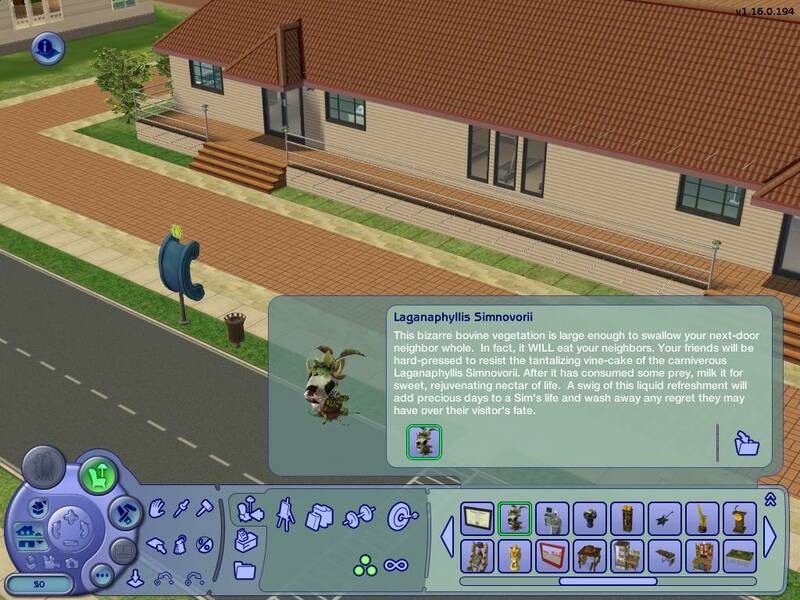 This project supports all configurations of The Sims 2 as well as the three Stories games. But note that these files do not add any objects that were not already included in the installed game. 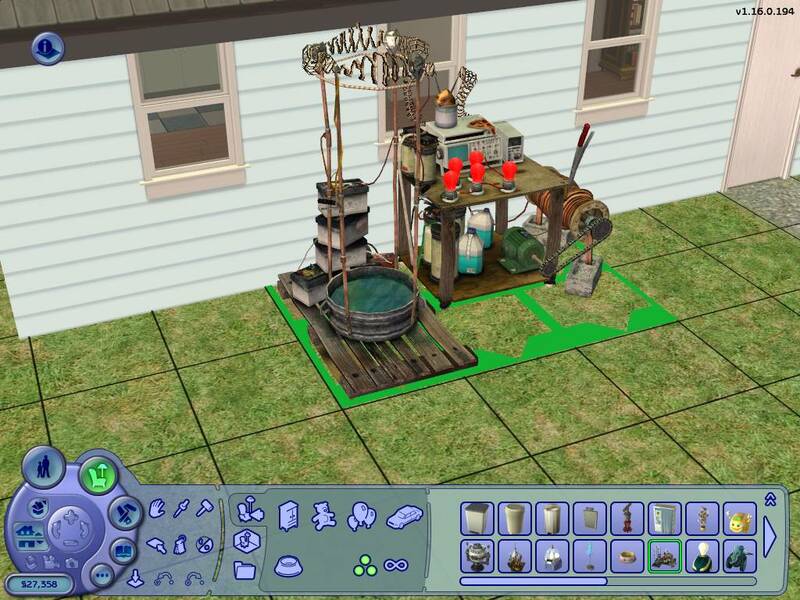 For example, players of the base game by itself will not see the career rewards from FreeTime, nor will Sims 2 users suddenly have access to objects unique to Castaway Stories - or vica versa. Like the previously used collection method, these object patches are made so that lots containing rewards objects may be created and uploaded without the use of any custom content. In other words, once these objects are placed in a lot they will stay there unless you choose to remove them, whether or not you still have these patches installed in the game. These files do not alter or interfere with normal gameplay: aspiration rewards may still be bought with aspiration points and career rewards may still be earned in the usual way. In order to make the patches completely compatible, the career rewards show up in the catalogue with a price of zero, whereas the aspiration rewards appear to cost an amount in Simoleans equal to their cost in aspiration points. However, this Simolean amount is not actually deducted when the reward is bought: all the rewards are free. All reward objects are made available in both community and residential lots. The aspiration rewards are categorized as Miscellaneous/Miscellaneous and the career rewards as Hobbies/Miscellaneous. Most objects also appear in logical secondary placements within the catalogue, such as in Decorative, Electronics, or Plumbing. Where appropriate, these objects are tagged for placement on OFB shelves. Lastly, I made the "Look At Score" consistent throughout the sets. For convenience, collection files are also included in this upload. 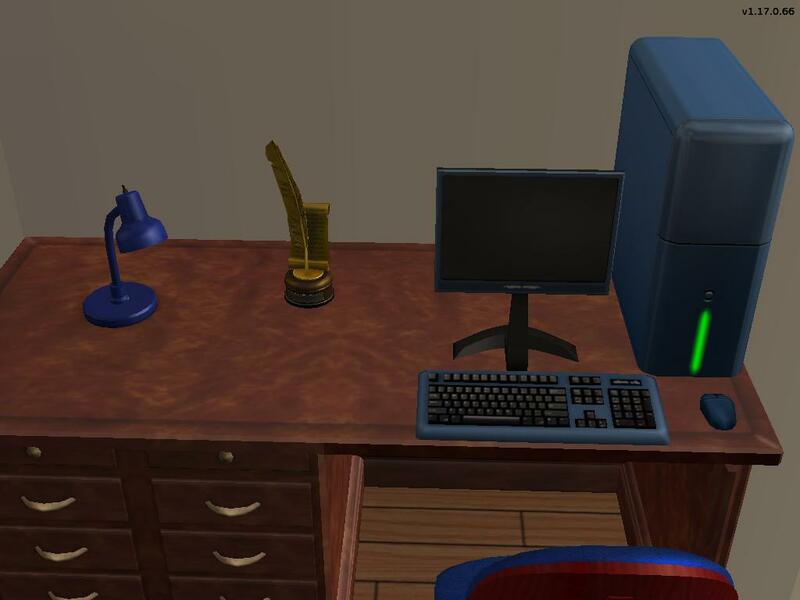 With the use of the patch files, these objects are now usable from their collections as well as from the object catalogue, even in the case of Bon Voyage and later EPs. 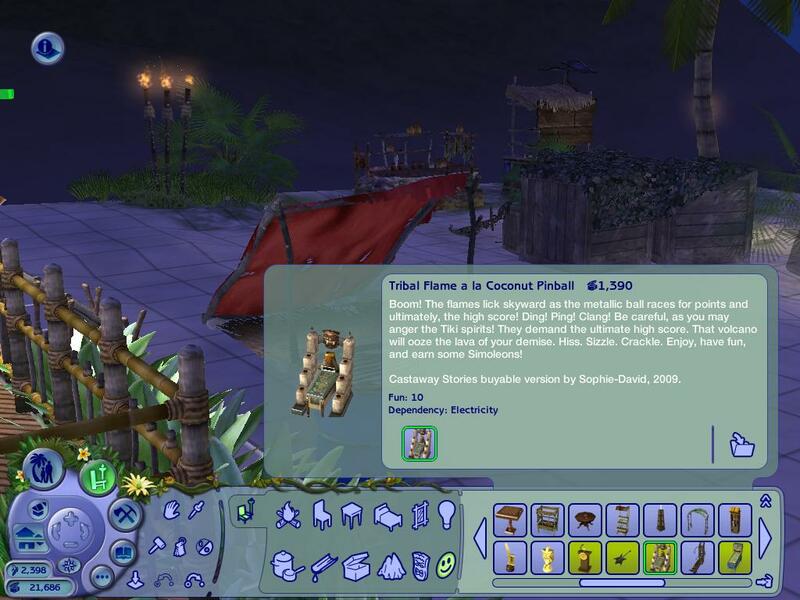 While the aspiration reward portion of the project works identically to that for The Sims 2, I was unable to configure the three Castaway Stories career rewards as buyable objects without disturbing their normal function. 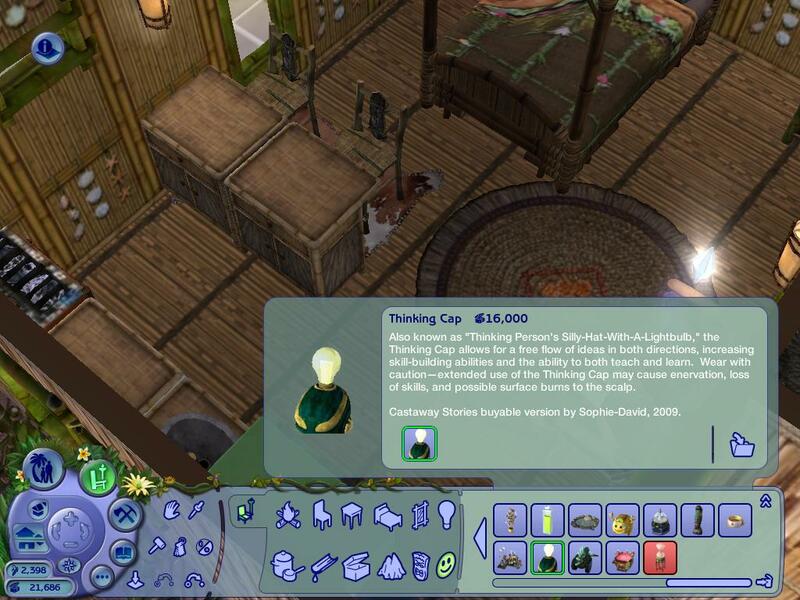 Therefore the career rewards included in the patch refer to the six normally hidden Seasons objects that were included in the Castaway game release. I have categorized three of them as requiring electricity to make their operation more realistic within the game environment. The Castaway Stories rewards are located in the Fun section of the catalogue. Please DO NOT install the patch files in the Download directory! Please refer to the Install Instructions tab for complete directions. Because the patch files must be installed in the Bin folder, I do not recommend including them in uploaded lots. 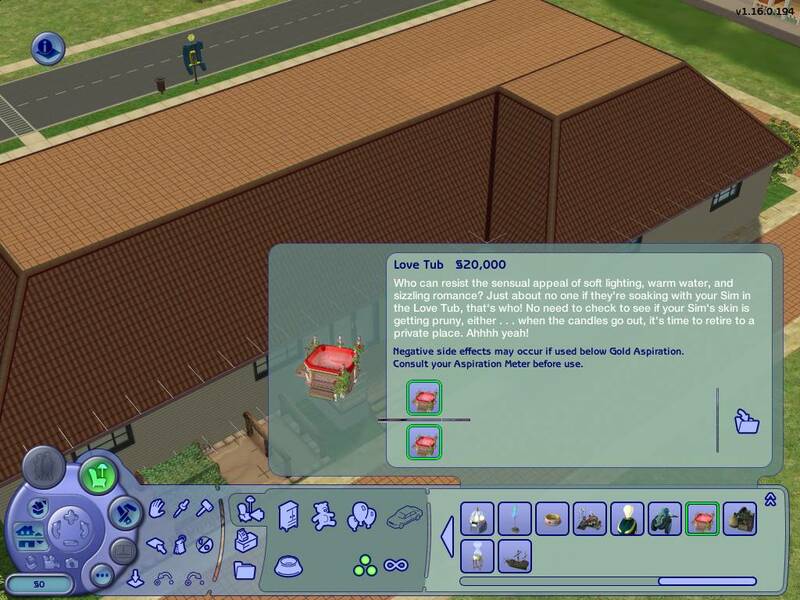 It would be better to simply include the buyable objects placed during the lot creation process, but package the lot without the patch files themselves. Please include a credit and link to this page. It be would nice if you sent me a PM with a link to your uploaded creation, but this is not required. StephSim, for inspiring me to create these file patches for her Simtopia series. SDpatchNoUni_Rewards.zip | Description: Rewards patch for most combination of EPs, if University is not installed. Please DO NOT install the patch files in the Download directory. Doing so would make them vulnerable to deletion, and possibly cause corruption of your game. If you are using Windows 7, install to C:\Program Files (x86) rather than C:\Program Files. The drive letter may also need to be adjusted to suit your actual installation path. Do not install any collection files, they are not used in this game. As an example of the creative use of these sets, check out StephSim's Simtopia series - for example Studio Square in Simtopia Community Set 1.